This guide describes 6 strategies used by librarians to perform effective searches for better results. 2: Use the right terminology! Why Use a Search Strategy? Moving from a topic to a search strategy involves Narrowing a Topic, breaking the topic down into its Core Concepts, and then constructing an effective Search Strategy using Boolean operators, nesting, truncation, and phrase searching. 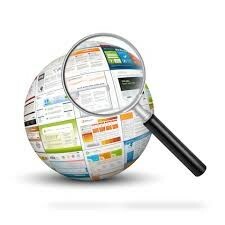 An effective search strategy can save you time and help you get better results. This guide contains information and tips on how to search databases to help you get better results. You can apply these techniques to almost any database, from PubMed to Google. 1. Developing a search strategy will help you articulate and re-articulate your research question. 2. A search strategy will save you time and energy. 3. A search strategy will make it easier for someone else to understand your research path. 4. A search strategy will help you remain consistent in your search from one search tool to the next. 5. Your search strategy will evolve as your research evolves, allowing you to reconsider how you might use the sources you discover along the way. Librarians recommend using 6 basic strategies (i.e., best practices) to make database searches effective and productive. This guide describes the 6 strategies and how to use them, so that you can find what you need quickly and effectively when searching online databases. These strategies work on all databases. Learn database search rules & peculiarities. Try these strategies to see how they improve your database searches. Of course, you can get additional assistance through our Ask a Librarian service.